The Elves will dazzle crowds with their blend of seasonal magic and impish tales of life in the North Pole, toy-making and work ing for the big man. 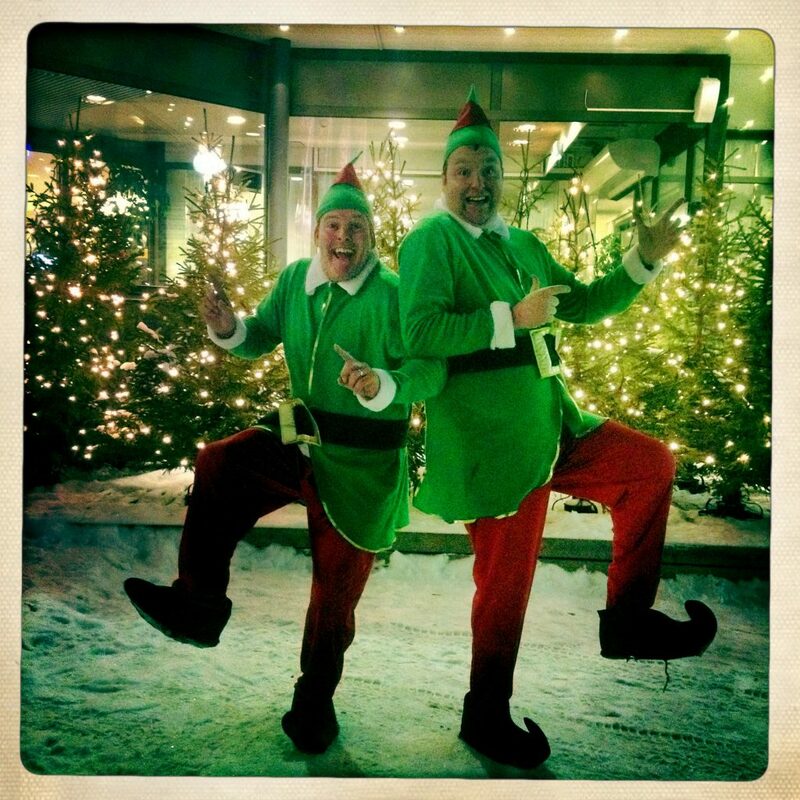 Why not book our fully-grown Christmas Elves to complement our other Christmas characters? Ideal for compering, switch-ons and bringing a smile to the shopping queues. Available as a show or a walkabout. These can be teamed up with following to give added value the Christmas Crackers, Holy & The Ivy or Captain Christmas.